Computer Tomography (CT) is a standard procedure in hospitals, but so far, the technology has not been suitable for imaging extremely small objects. In PNAS, a team from the Technical University of Munich (TUM) describes a Nano-CT device that creates three-dimensional x-ray images at resolutions up to 100 nanometers. 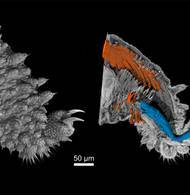 The first test application: Together with colleagues from the University of Kassel and Helmholtz-Zentrum Geesthacht the researchers analyzed the locomotory system of a velvet worm. During a CT analysis, the object under investigation is x-rayed and a detector measures the respective amount of radiation absorbed from various angles. Three-dimensional images of the inside of the object can be constructed based on several such measurements. Up until now, however, the technology reached its limits when it came to objects as small as the tiny, 0.4 millimeter long legs of the velvet worm (Onychophora). High-resolution images of this magnitude required radiation from particle accelerators, yet there are only a few dozen such facilities in Europe. Approaches suitable for the typical laboratory still had to struggle with low resolutions, or the samples investigated had to be made of certain materials and could not exceed a certain size. The reason was often the use of x-ray optics. Put simply, x-ray optics focus x-ray radiation similar to the way optical lenses focus light – but they also have several limitations. The TUM Nano-CT system is based on a newly developed x-ray source, which generates a particularly focused beam, without relying on x-ray optics. In combination with an extremely low-noise detector, the device produces images that approach the resolution possible with a scanning electron microscope, while also capturing structures under the surface of the object under investigation. Exactly these properties were ideal for the team led by Prof. Georg Mayer, head of the Department of Zoology at the University of Kassel. The scientists investigate the evolutionary origin of arthropods, including for example insects, spiders and crustaceans. 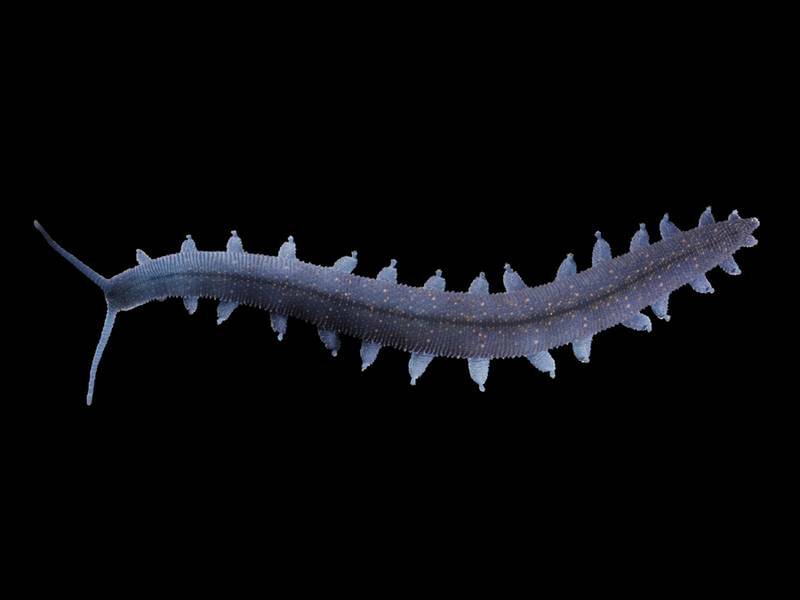 Their current research, however, focuses on velvet worms (onychophorans), which can be thought of as worms with legs and are closely related to arthropods. 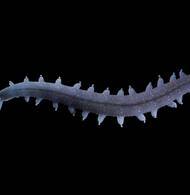 Some velvet worm species can grow to a length of up to 20 centimeters, while others do not exceed 1 centimeter. The exact zoological classification of these ancient animals is still a matter of controversy; presumably, they share a common ancestor with arthropods and tardigrades (water bears). “In contrast to arthropods, onychophorans do not have segmented limbs, as is also the case with their presumed common fossil ancestors,” says Georg Mayer. 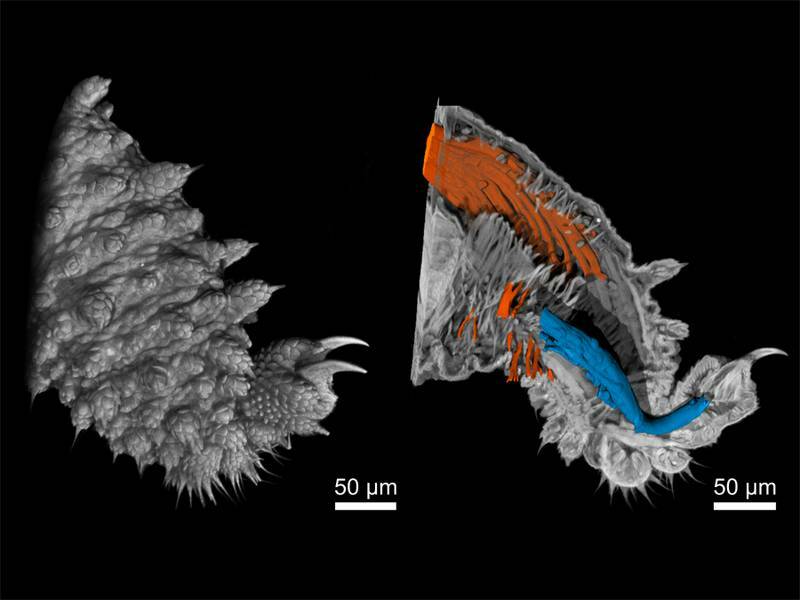 “The investigation of the functional anatomy of the velvet worm's legs plays a key role in determining how the segmented limbs of the arthropods evolved.” The Nano-CT images make it possible to investigate the individual muscle strands of the velvet worm leg. The team from Kassel plans to publish detailed results in the next few months. But they are already convinced about one thing: The Nano-CT device has passed its first practical test. Like so many other imaging instruments, the Nano-CT system was developed and installed at the Munich School of BioEngineering (MSB). This TUM interdisciplinary research center is Europe's thematically most comprehensive university facility for the intersection of medicine, engineering sciences and natural sciences. Our goal in the development of the Nano-CT system is not only to be able to investigate biological samples, such as the leg of the velvet worm,” says Franz Pfeiffer, TUM Professor for Biomedical Physics, Director of the MSB, and a Fellow at the TUM Institute for Advanced Study (TUM-IAS).